MYRTLE BEACH, SC (WMBF) - In the heat of the moment it can be difficult to remember all the right steps to take in the middle of a natural disaster - not only for the safety of your home but for your business as well. Hurricane Matthew was a prime example of this, that's why city leaders are making efforts to keep you ahead of the storm and informed. 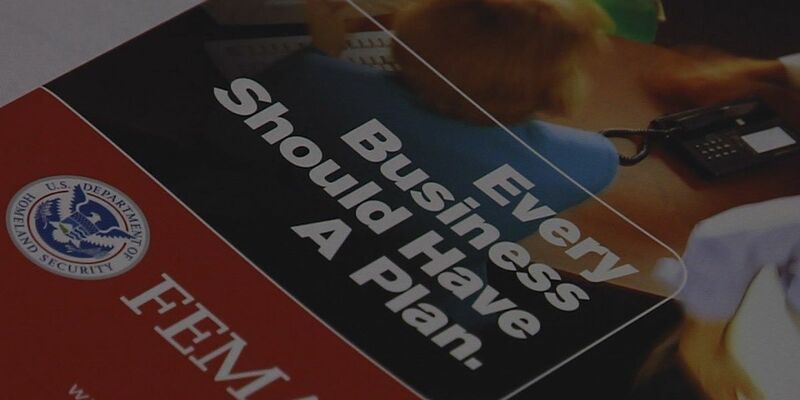 The Business Disaster Recovery Symposium is designed to help you to have a plan before another disaster strikes. Owners and managers will be learning how to put specific plans in place to allow their businesses to keep operating as if nothing was wrong. Guest speakers who've had similar experiences with disasters like Hurricane Matthew will be here sharing information about how their advanced planning helped get their local economy back on track during a disaster. Vendors will also be there to make you aware of what is out there to help you get back on your feet in the event something happens. Organizers said whether your business took a hit during Hurricane Matthew - or you dodged a bullet - it is important for you or your employees to be in attendance. While Hurricane Matthew will be one of the main topics of discussion, city leaders want to stress that strong winds, power outages, flooding and fires can also keep you from operating. "Obviously hurricanes would be a big issue. But the City of Georgetown had a similar issue where they had a fire, I guarantee you when the people left that day and closed their businesses down they didn't think they would come back to rubble," said Myrtle Beach Director of Planning Carol Coleman. Organizers want you to know how to communicate, have a plan in place and to know how to set a person for contact ahead of time. Organizers also want you to remember to save and back up all of your important documents. The focus will be on businesses continuing to operate through a disaster. For example, a small business needs to know who the backup supplier is in case they can't get to their original supplier. What if your restaurant freezer goes down and you don't have the extra money in the budget to replace it all at once to keep things going? These are things you may not be thinking about right now but things you need to know for that all-too-possible situation. "Important papers, things simple as insurance policies, payroll papers, things that will keep them going in the event they can't operate in their physical location," Carol Coleman said. The Businesses Disaster Recovery Symposium will take place at the Myrtle Beach Convention Center Jan. 27 from 8 a.m. to 1 p.m.
To register your business, click here.